Performing a patent search is one of the most important tasks to check off the product development to-do list. It is absolutely essential to perform a patent search before filing a patent, and it’s something that you need to do even if, for whatever reason, you aren’t intending to file a patent. If you plan on building, producing, or selling your invention, you need to know for sure whether or not somebody else already holds the patent, or you could open yourself up to legal liabilities, not to mention a lot of wasted energy and money. In this piece we’ll explain how to perform your own preliminary patent search. It’s important to remember though that any search you perform yourself is never a replacement for a professional patent search. The USPTO receives over 600,000 patent applications per year, and there are over 9,000,000 patents on file in the U.S alone. This means that, unless you are well versed in patent law and experienced at navigating the patent records, you will not be able to turn up all the relevant materials yourself. There is no substitute for a qualified, professional patent attorney. No matter what your invention is, there will be some existing prior art that a skilled patent searcher would find that would be relevant to your application. That said, performing your preliminary patent search can sometimes save you the expense of a professional search, because sometimes you can determine by yourself that your invention is not eligible for patent protection. You can’t determine by yourself whether the invention is patentable, but you can sometimes rule it out. So, a preliminary patent search always comes before a professional search. If you don’t rule out the patentability of your invention during your own search, then it’s time to hire a professional. 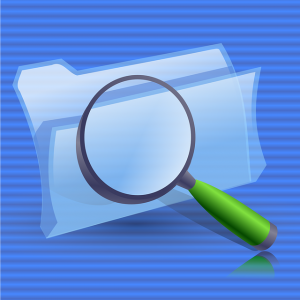 The bulk of your patent search will consist of searching through the USPTO patent databases, but you can sometimes find valuable information doing searches outside of USPTO records. Doing simple online searches for products similar to your invention is useful not just in terms of market research, but can also give you some clues as to the patentability of your invention. If someone is already selling the thing you’ve invented, they’ve probably claimed patent rights. Search online stores, publications, and forums for descriptions of inventions similar to yours. If there has been any publication of a description of an invention like yours in the past, it will likely rule out the possibility of you obtaining a patent on it. It’s important to note that this restriction applies to your own publications as well: you have only one year in which to file a patent after any public disclosure of an invention. If you don’t rule out the patentability of your invention through simple online searches, the next thing to do is to look through the patent databases. The first step when performing a patent search is to understand the type of patent you will be applying for, as this will determine the types of patents you need to search for. There are two primary types of patents: design patents and utility patents. Utility patents are the primary concern for most inventors and entrepreneurs. These are the patents which protect the unique function of a useful invention. Design patents, on the other hand, protect the aesthetic appearance of a useful invention. While design patents can be valuable, it is probably utility patents which you will be more concerned with for the purposes of your patent search. A third type of patent is a plant patent, though these apply only to those who are looking to patent a new, asexually reproduced plant. Once you’ve established the type of patents you will be searching through, you need to narrow your search down to the proper class of patents. All USPTO patents are divided into classes, which are then further divided into subclasses. Different classes represent different areas of technology, and each subclass represents different structural and functional features and processes within that class. This system is called the U.S Patent Classification System (USPC) You can find an overview of the USPC here. Every class and most subclasses in the USPC are represented by an identifying alphanumeric code. A list of classes and their codes can be found here. For example, thee class for Furnaces is #110. If you had invented a new type of furnace designed for incinerating garbage, you would want to look under subclass 235 for refuse incinerators, and under subclass 237 if your refuse incinerator was specifically designed for handling explosives. Sounds simple enough. But you will also want to look through class 126, for Stoves and Furnaces, which is its own class. The art of patent searching largely boils down to knowing all the different places where relevant patents might show up. This isn’t always obvious, which is why it’s important not to rely solely on your own preliminary search. In order to make the most out your patent search, you need to take advantage of the USPTO’s search engine. This can be a bit complicated, and it takes some practice. This is a major reason why professionals can perform more reliable searches — they understand what to search for. You need to search for every conceivable keyword and combination of keywords that might pertain to your invention. Not every inventor may have classified their invention using the terms that seem most appropriate to you. A problem you’ll likely run into is that searching for a common term might result in thousands or hundreds of thousands of results. For instance, searching for “incinerator” returns over 5000 results. Understanding how to take advantage of the search engine’s various different functions and operators will help you to narrow your search down. For example, to see all the patents that fall under class 110 subclass 237 (that is, refuse incinerators designed to handle explosives and ammunitions), you can enter “CCL/110/237” into the advanced search field. A list of search functions can be found here. The biggest limitation to doing your own online search is a lack of experience and knowledge in navigating the UPSTO patent database. As you’ll quickly appreciate once you’ve started using the system, there are a lot of patents, there are a lot of different classes, and there are many, many different ways that inventors can describe their invention. Being able to efficiently navigate this system takes time and experience. Another major limitation of the system is that the online database only goes back to 1976. If you’re patenting something in the high-tech or software sector, then this probably won’t matter much to you. But for more mechanical inventions this can be a serious limitation. There could very well be patents on file from the 1950s, 60s or earlier that would undermine the eligibility of your patent application. A third limitation is that the USPTO database, for obvious reasons, does not cover foreign patents. This can be a problem for those who intend to file for patent protection in other countries. For these reasons, it is essential that you move on to a professional patent search if you do not rule out the patentability of your invention during your own search. A preliminary search is great at saving you the time and money of hiring an expert if you can rule your patent out yourself, but do not assume that just because your search turned up nothing, that there is nothing out there. A professional patent search will include terms you didn’t think of, will find prior art you might not have considered relevant, and will involve looking beyond the patents listed on the USPTO’s online database. When you’re ready to take the next steps, Cad Crowd offers qualified, professional USPTO patent searches. We connect you with a leading U.S based patent attorney who knows the patent databases like the back of their hand. We also offer patent services for utility patents and design patents. Get a free estimate today. Should You Get a Patent for Your Invention?